A necklift is a cosmetic surgery procedure to improve the appearance of the neck and reduce signs of ageing or weight loss. The shape and tone of the neck can greatly influence your overall facial appearance. In Perth, necklift surgery can be performed on its own or in combination with a facelift or other cosmetic surgery to create a natural and more aesthetically-pleasing neckline and jawline. To find out if a necklift in Perth is right for you, the first step is to book a consultation with your Specialist Plastic Surgeon. They will discuss your expectations and any concerns you may have. Pricing and post-operative care will also be discussed. What results can I expect from a necklift in Perth? After necklift surgery, many patients report that the neck and jawline look about 5-10 years younger. The results of a necklift typically last up to 10 years, but do vary from person to person. The desired end result should be improvement, not perfection. Your Specialist Plastic Surgeon at Assure Cosmetic Centre is the best person to determine if your expectations are achievable. How is a necklift in Perth performed? Necklift surgery can be performed in several ways, depending on factors such as muscle tone, skin elasticity and body fat in the neck area. Depending on the desired effect, a necklift may be performed on its own or in combination with a facelift or other cosmetic surgery during the same operation. The procedure may take 1-3 hours, depending on the extent of surgery involved. Will I be hospitalised for necklift surgery? In Perth, a necklift is performed in an accredited hospital under general anaesthetic. In most cases you can expect a short stay of up to 1-2 days, but this will depend on your general health, the extent of the procedure and your surgeon’s advice. You will need to attend a post-operative consultation approximately 5-7 days after necklift surgery, and again 7-14 days after surgery with subsequent post-op visits if required. Will Perth neck surgery leave scars? Scars are an inevitable result of any surgery. 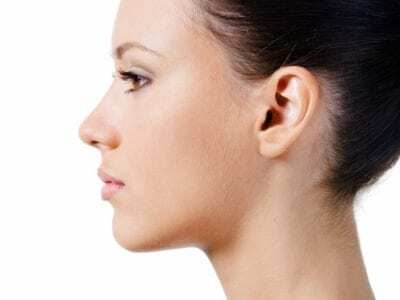 However, with necklift surgery incisions are made within the skin’s natural folds, so that scarring is barely visible. Your Specialist Plastic Surgeon will make every effort to ensure any scars are as inconspicuous as possible, and scars usually fade with time. When can I resume normal activities after Perth necklift surgery? A post-operative care plan will be discussed with you before and after the procedure. Returning to work and your normal activities is an individual matter, and your Specialist Plastic Surgeon will advise you. Most patients feel well enough to return to work within 2 weeks. Sports or strenuous activities should be avoided for at least 3 weeks, and complete healing and recovery may take a few months. How much does a necklift in Perth cost? An initial consultation with your Specialist Plastic Surgeon will cost approximately $185 and take about 30-45 minutes. Your Specialist Plastic Surgeon will provide an indication of the likely costs, such as your surgeon’s fee, anaesthetist’s fees and hospital and theatre fees. Your surgeon’s fee includes all post-operative care and nurse dressings. Pricing will vary from case to case, but an indicative range of your surgeon’s fee is $3,000 to $5,000 excluding GST. Anaesthetist, hospital and theatre fees are additional.